People first think about braces when they think about orthodontics. However, there are further orthodontic treatments generally used to improve the look, smile or the arrangement of the teeth. One of these treatments is a palatal expander. In past few years, there has been a great advancement in orthodontics from extracting teeth to expanding the arches when there is crowding present. The roof of the mouth known as the palate is made up of two bones attached together down the center by a connection called a suture. This suture is made up of stretchable cartilage when a patient is young. This is a growth place where growth takes place. Once skeleton gets matured somewhere around 14 and 18 years of age, this suture fused and the palate developed into a single solid structure. The expander provides the desired amount of expansion, the orthodontist will normally leave it in place for several months holding the two halves of the palate separately. When the jaw expands, new bone fills in between the two halves of the palate. This process is called distraction osteogenesis. Expansion can take a few weeks to a few months, depending on the amount of expansion required for an individual patient. After removal of the expander, there is always a loss of arch width and some relapse. 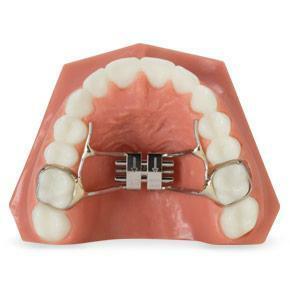 A palatal expander, also identified as the orthodontic expander is used to expand the upper jaw so that the bottom and upper teeth fits in correct alignment. 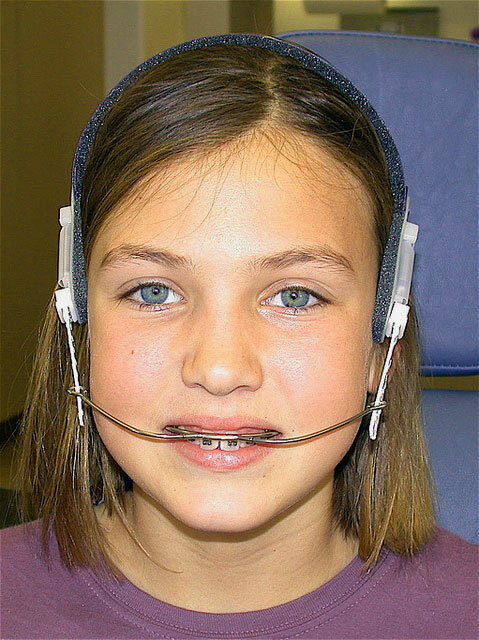 Use of an expander is a common orthodontic procedure most regular in children. Although it can be used in adults successfully but the effects of expansion are somewhat more uncomfortable and painful. Furthermore, depending on the amount of adjustment and age of the patient, it may possibly result in the surgical partition of the maxilla. Expanding the jaw generates the room and assists to deal with conditions like cross bite, overcrowding, and impacted teeth. With palate expander child may experiences, Soreness, Feeling of pressure, feels difficult to sSpeak and eat at first, a small gap between the front teeth. It is difficult to give an exact cost for treatment until we have examined you. Palate expanding is a procedure for children because their jaws are still expandable at adolescence. While in adults jaws is not expandable. This procedure usually costs between $1,100 and $3,000. Many arguments suggest the palate expanding treatment early when the lateral shift in the jaw is desired. It can be delayed till adolescence when the lateral shift isn’t preferred. young people’s bodies are still undergoing skeletal growth, meaning that their bones have not yet fully formed, making the RPE useful in correcting any abnormalities; as for it to work, there needs to be some form of separation between the bones already, which is not the case in fully developed adults. At the time of the desired expansion, your doctor at Orthodontics will place the Expander in for a couple more months to give your bones to adjust and stabilize the new expansion. Palate Expanders take around 3-9 months from start to end. If it is removed too early with no retention, the teeth may relapse. And if the teeth are very crowded or crooked it may take longer. Expanders work great, but there are some side effects that catch parents by surprise. One of them is the appearance and disappearance of a gap between the front teeth. There is a pressure on the teeth, on the roof of the mouth, behind the nose, and even between the eyes as the expander is activated. Some patients find it difficult to speak clearly when they first have their expanders put in. You may hear them slurping as mouth may also produce more saliva at first after expander cementation because your mouth thinks the expander is food and is trying to break it down. Both the slurred speech and the extra saliva will be resolved within a few weeks. After putting palate expander its care is very important. During meals, food may become trapped between the Palate Expander and the roof of your mouth. Make sure to brush the area around the expander, and floss underneath it along the roof of your mouth. A Water Pik can be very helpful keeping your RPE clean. Also avoid sticky foods (caramels, taffy, tootsie rolls, etc.) that might pull the RPE loose and hard foods that can bend the appliance.